It does not matter if you call it futbol, football or soccer, Lionel Messi is the biggest name in the sport and closing in on the greatest players of all-time. The diminutive forward is heralded for his quickness, footwork and scoring prowess. 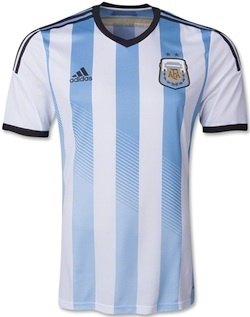 As one of the most popular athletes in the world, Lionel Messi cards and apparel are highly sought after. 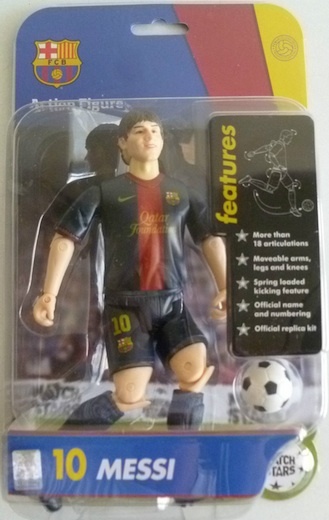 Shop for Lionel Messi Cards on eBay. 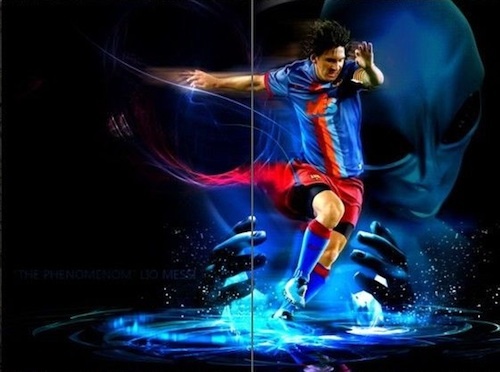 Born and raised in Argentina, Lionel Messi excelled in the sport at a young age and various clubs took notice. At the age of the 13, Messi joined the FC Barcelona youth academy. 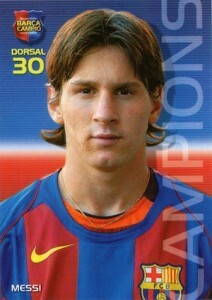 After several years with the club, Lionel Messi made his official first-team debut in 2003 at the age of 16, and made his La Liga debut for Barcelona the next season. 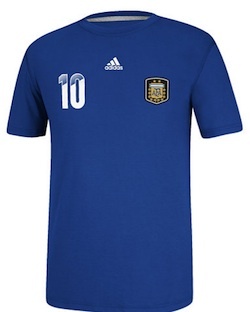 Messi also started his international career with Argentina in 2004. In the years that followed, Barca and Messi enjoyed great success, including six La Liga titles and three UEFA Champions League titles. Individually, Lionel Messi won four consecutive Ballon d'Or (2009-2012) awards as the best annual male player, and three European Golden Shoe awards as the leading goalscorer among the top European leagues. Among his contemporaries, Cristiano Ronaldo is his closest competition. 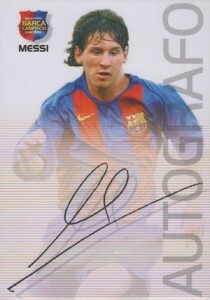 Despite his immense popularity, Lionel Messi does not have many certified autograph options available for collectors. However, he has plenty of cards and stickers. 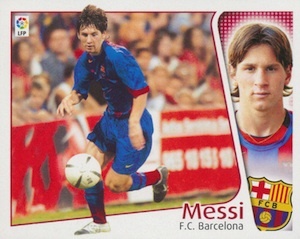 The earliest Lionel Messi cards tend to be the rarest and most popular options, but low-numbered cards and jersey cards also receive strong interest. Although there has not been much available, collectors looking for pack-pulled autographs are in luck as 2014 Panini Prizm World Cup contains Lionel Messi autographs. The following list documents key Lionel Messi cards from his debut season in 2004-05. Most can be found with relative ease, but they are certainly not in great supply and high grade versions remain rare. As he racks up goals, Lionel Messi cards continue to push higher and he is still in his prime. 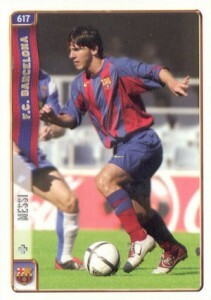 Part of the extensive Mundi Cromo set that covers La Liga, this Spanish card is one of the earliest Lionel Messi cards. It is generally not as popular as the various first-year Panini cards, so it is the cheapest way to obtain a Lionel Messi rookie card. The other Mundi Cromo first-year release for Lionel Messi is a quad-player card. They actually do not seem to turn up very often, and in addition to the base version, there is also a shiny foil parallel version. The front and back of the base version is shown below. 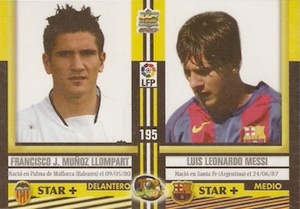 One of the rarest first-year cards for Lionel Messi, the Panini Este sticker is non-numbered and commands high prices. 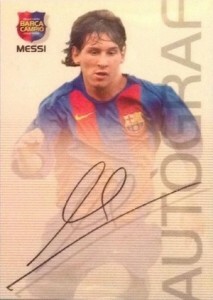 The first of several Panini cards, the horizontal layout and dual images of Messi help it stand out from the others. Although not as rare as the Panini Este, this Mega Cracks card for Lionel Messi is one of the most valuable rookie cards for the Barca forward. It appears to use the same image featured in card #89 from the set below. 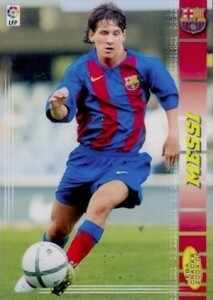 Among collectors, this is the preferred rookie card for Lionel Messi. 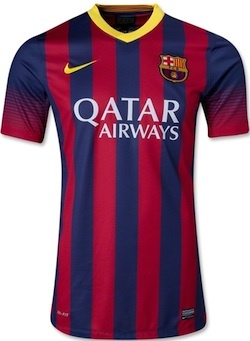 Lastly, there is the Barca Campeón / Campió edition product. The reason for the the two different names is because there is a Spanish version (Campeón) and a Catalan version (Campió). Although the differences are subtle, they can be easily distinguished by the name included on the crest in the corner and also by the spelling of the headline on the card front. 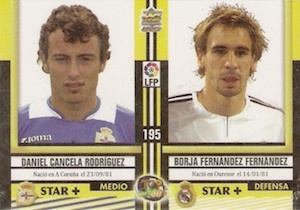 The Spanish Campeón cards feature Campeones, Accion and Autografo on the three cards, while the Catalan version showcases Campions, Accio and Autograf. The Catalan #35 and Campeón #62 can be seen below and both versions are shown for card #89, which features a facsimile autograph. While certified Lionel Messi autographs remain in short supply, and many feature questionable authenticity, the average fan has plenty of options for celebrating the speedy star. Jerseys and boots are the most common, but various wall hangings and other random collectibles have also proven popular. 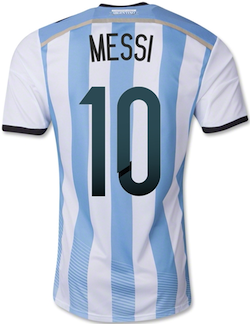 Fans of Lionel Messi have multiple options for displaying their allegiance. Because he is active on both FC Barcelona and the Argentina National Team, there are basically twice as many choices. There are replica and authentic jersey versions along with jersey t-shirts for both squads. The Lionel Messi signature shoe is made by Adidas and the most current model is the Adidas adiZero F50. 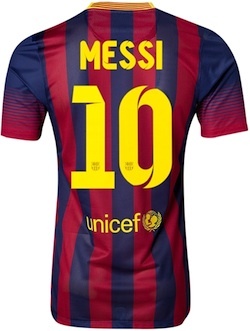 NIKE LIONEL MESSI FC BARCELONA AUTHENTIC VAPOR MATCH HOME JERSEY 2017 18. 25 PSA 10 GEM MINT 2016 Panini Father's Day CRACKED ICE REFRACTOR Lionel Messi!